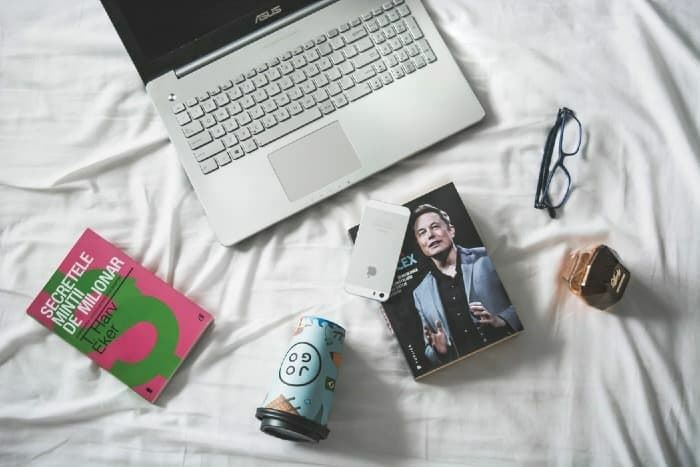 The laptop market has undergone many changes in the recent months which has induced a sense of complexity in choosing the best laptop for our usage. 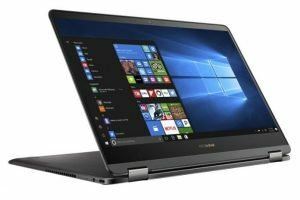 Zeroing in on a laptop is not solely based on specs but dependability, performance, user-experience and many more subtle factors. All the laptops featured here have been top performers in 2018 and with new model launches towards the end of last year, these machines are have only gotten meaner and better in 2019. Competitive pricing, perfect aspect ratio and powerful performance makes this laptop still one of the best buys several months after its launch. The hardware is well built, compact and the all-metal build feels premium. The keyboard is decent and could’ve made better. However, the secret recessed camera that pops up on pressing the camera key is a really cool feature by Huawei. The power on/off button is integrated with the fingerprint sensor. So, when you power the laptop on, it simultaneously detects your fingerprint and logs you in. The 13.9 inch display is colorful and bright. The touch screen is very responsive and the tight hinges offer a good experience. The quad speakers- 2 on the sides and 2 on the bottom- have a nice range and quality. The Dolby Atmos sounds simply fantastic on this laptop. The battery lasts for 9 hrs with moderate to heavy usage. The entry model is loaded with core i5, 8Gb of RAM and 256GB of storage with integrated 620 graphics. However, higher end 8th gen intel core i7 U series processor is far superior when compared to other laptops in the market and when combined with the balanced nature of this sleek machine, it is bang for the buck. The 2019 version of Dell’s Flagship XPS 13 is the same ultra portable laptop that we fell in love with in 2018, but with noteworthy upgrades. The most important upgrade being the webcam position, which has been moved to the top of the screen, from its original below the screen position (Hence, no more worries about people staring at your nose.) The new webcam uses a 720p widescreen sensor paired with four far-field microphones for activating Cortana or Alexa from a distance. The back panel has been significantly upgraded- The texture is such that it doesn’t pick up any fingerprint like most laptops do. XPS 13 has a 13.3 inch 4K resolution touchscreen and also comes with a 1080p non touch screen version. The glass coated keyboard is best in class, with several additional keys included to aid in functionality. XPS 13 comes with two thunderbolt 3 ports (which also serve as USB ports), 1 USB type C port and a micro SD card slot. There is no USB A port on the device, but Dell has included the dongle in the box to help users who need it. This laptop comes with unique colour options like frost on white, rose gold on white and silver on black. 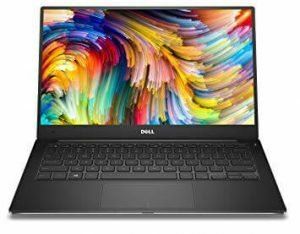 Dell has powered the 2019 XPS 13 with Intel’s Whiskey Lake processors. The base version is equipped with an 8th Gen core i3, 4GB DDR3 memory and a 128Gb SSD combined with a 1080p display. You can pump up the XPS 13 depending on your usage. The battery lasts for about 18 hours on the cheaper variant and the high end version provides a backup of 11 hours, which is no reason to complain. Pros: Infinity display, Good build quality, Best in class keyboard and touchpad, Wide range of options that are easy on the pocket, Great battery life. Cons: Hardware tends to get hot. This is arguably the best laptop HP released in 2018. 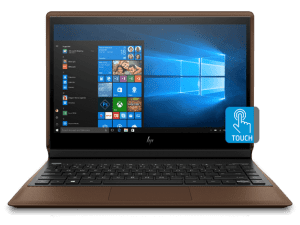 When announced, HP rightly banked on the slogan “PC Reinvented” as it has truly reinvented the laptop experience by giving this sleek machine a complete leather cover. Yes, it is not a leather pouch, but the laptop panel is made of leather. Spectre Folio boasts of a 13.3 inch full HD glossy display with 4K as an optional feature. The bright and rich display could’ve been enhanced by reducing the bezels, specially on the top and bottom, thereby increasing the screen size. As usual, HP has come up with a great keyboard that feels smooth and enhances typing experience. The keyboard comes with a backlit display to assist typing in the dark. The highlight of the laptop is its seriously impressive design. The ultra thin screen can be partially detached from the magnet that hold it together with the leather panel and transition into 3 different view modes. With quad speakers. the audio quality is good and loud, but might fail to impress you if you’re a bass person. Powered with a Y-series Intel processor, the dual core 1.5 GHz Intel core i7-8500Y CPU may not be superior on paper, but the laptop performs well while multitasking and shows no signs of lag. Cons: Audio quality could’ve been better, No USB type A, difficult serviceability. 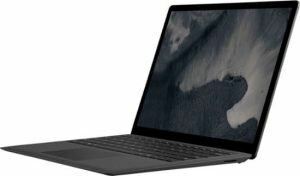 The second edition of Microsoft Surface Laptop is similar to the first, except for two notable changes- A superior 8th Gen Intel processor and and a slick black colour (also comes with Burgandy Red). This ultrabook is compact and sleek, but has a soft back panel which is susceptible to scratches. This machine is powerful when it comes to performance and shows no lag under heavy usage. The surface laptop 2 doesn’t have a league winning display. However, the screen is bright and stays that way even when viewed from a 45 degree angle. The webcam is really good, except for the slight noise, which shouldn’t be a problem for most people. Microsoft has not changed much with the keyboard and touchpad. The new keyboard, however, feels quieter than the earlier one. The Italian made Alcantara fabric gives an amazing feel to the interior panel, but requires some pampering as there’s a fear of staining it overtime. The omnisonic speakers perform well on higher notes but struggle with bass. Overall the audio quality lacks warmth, and can be termed decent. It’s a good bet to go for the core i5 version unless you really want to use all the processing power that comes with core i7. The surprising fact here though, is that the core i5 version outperforms the earlier core i7 version. Overall the new surface laptop 2 is is an all-round package- it is compact, more powerful and more efficient than its predecessor. Pros: Sleek and fast, Premium hardware, Good display and Battery life. Cons: No type C port, No thunderbolt, No LTE option, Low storage for the price range. Asus’s flagship touchscreen convertible laptop is thin, light and built with premium materials- just what you expect from a high end ultrabook/ laptop. Asus has squeezed intel’s new Kaby lake 8th Gen processor into the Zenbook Flip S UX370, resulting in a machine which has plenty of performance to spare. 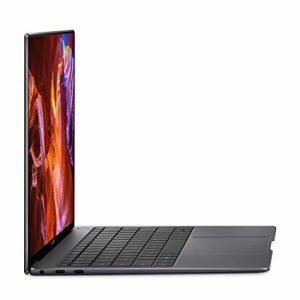 The manufacturer has done well with the flexible hinge support that easily converts the laptop to a tablet, with a variety of workable ranges in between. The body is equipped with two USB type C ports, fingerprint sensor and volume rocker that comes in handy when used in tablet mode. The display is bright and comes with 178 degree viewing angles. The thin bezels contribute to the viewability and goes well with the 80 percent screen to body ratio. The user experience is significantly enhanced by the snappy touch screen which is highly responsive but the stylus performance needs to improve. The audio quality in ultrabooks is always a concern because of the space constraints. But the quad speakers on this Zenbook do a decent job and come with surround sound capability. Pros: Premium design and build quality, Highly versatile and portable, Loud speakers, responsive touch screen, Powerful performance.